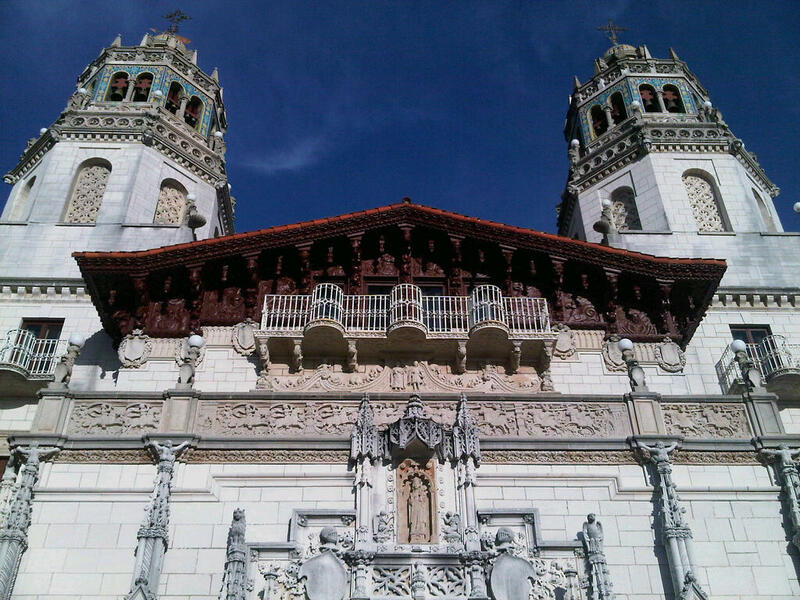 Every time I visit California, I always have good intentions to visit the Hearst Castle in San Simeon, but for one reason or another, I never seem to make it. 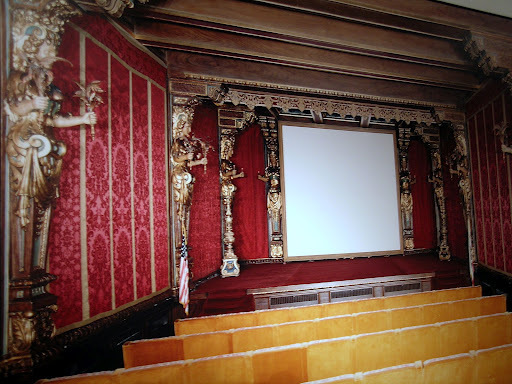 This time however, I was determined to behold the romantic vision of the publishing magnate whose lifestyle, eccentricity and art collection influenced the film often described as the greatest ever made: Citizen Kane. William Randolph Hearst always referred to the castle as “the ranch”; partly due to the fact that 40,000 acres of ranch land, adjacent to San Simeon Bay, envelops the castle, but also because he preferred the low-key description. 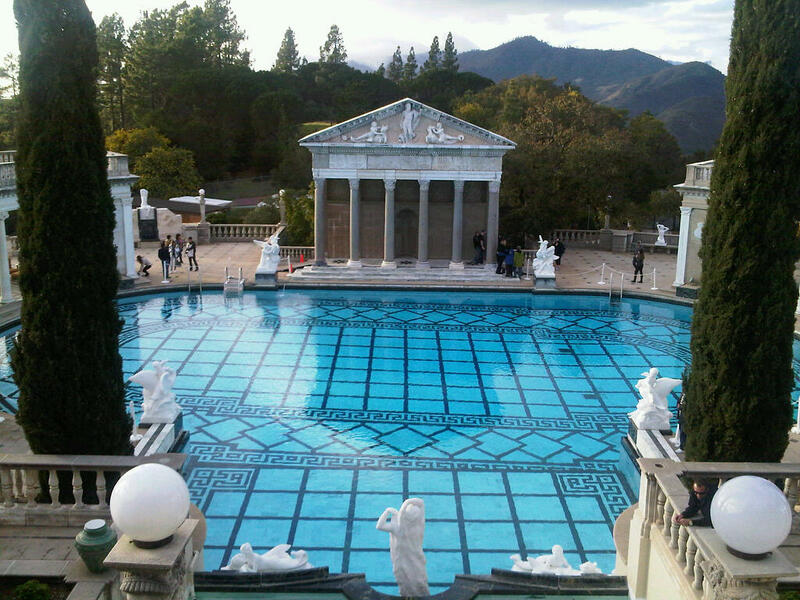 But there is nothing low-key about Hearst Castle; it’s simply palatial. At the time of its construction in the early 1920’s, it’s enormity and unabashed grandeur proved to be more than a match for any royal palace. W.R. Heart’s father, George, purchased the land back in 1865, having made his fortune in Nevada’s Comstock Lode. W.R. grew up there, but in 1873, accompanied by his mother, set out on an 18 month grand tour of Europe. This early exposure to art, architecture and European culture had such an acute bearing on Hearst’s young life, that its influence is reflected at almost every turn, both inside and outside the castle. 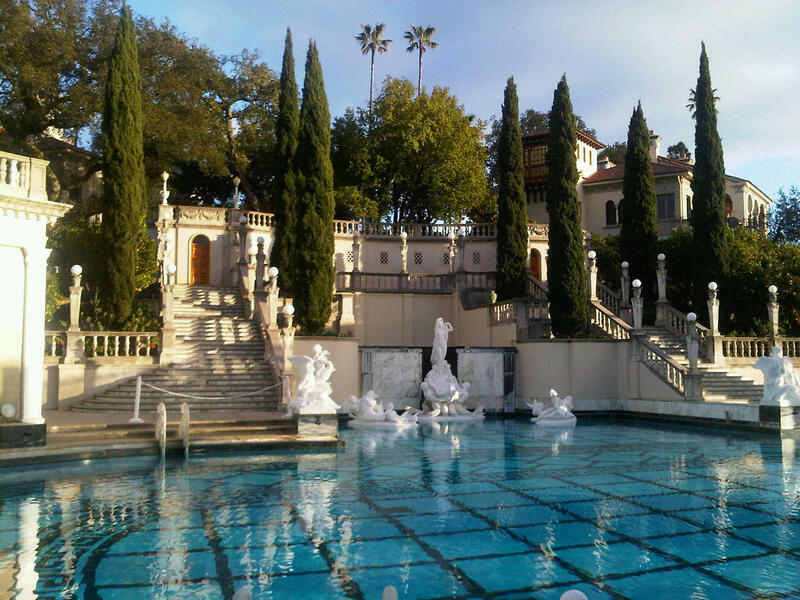 Parties at the Hearst castle were legendary and the Beautiful People of the day fought for invitations. 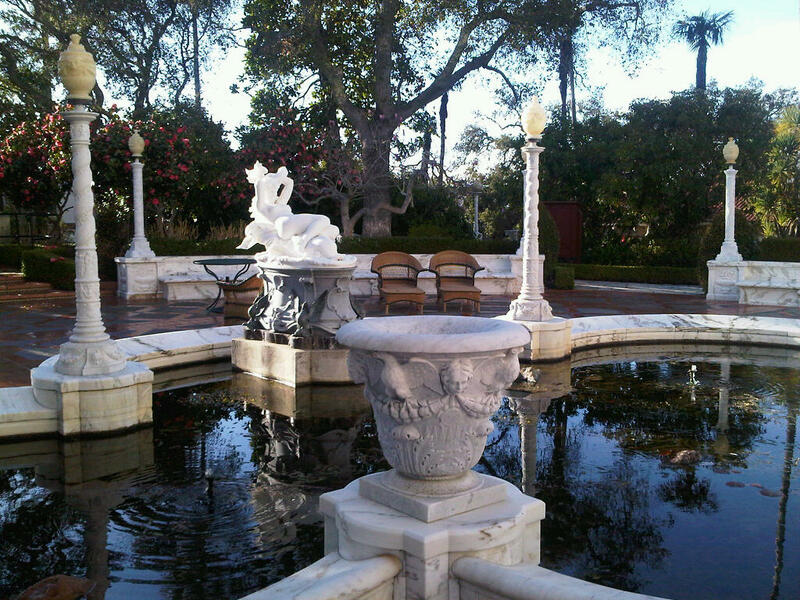 The likes of Jean Harlow, Clark Gable, Charles Chaplin, Valentino and Greta Garbo were regular visitors. 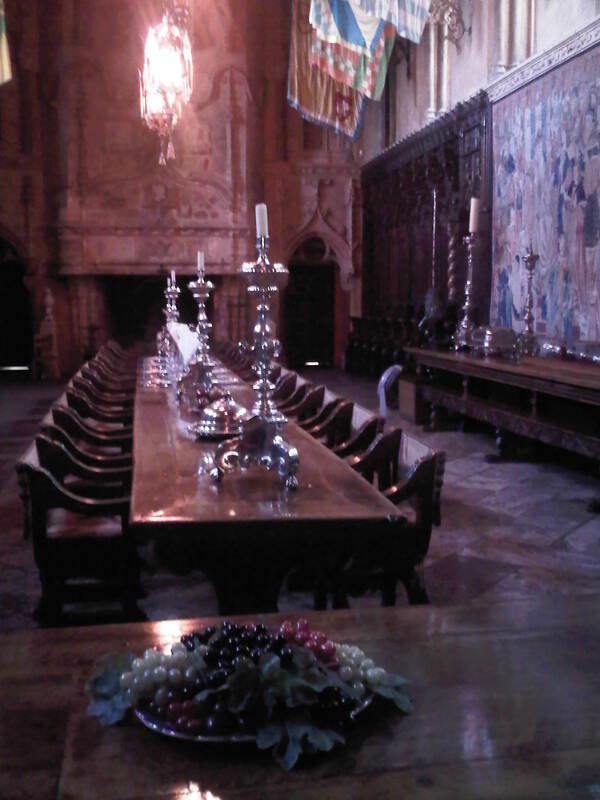 However, the longer the guests stayed, the further their dining place names would travel along the ancient oak table, away from their golden hosts, giving a not so subtle hint that it might be time to leave! This is the spot where W.R. and film star Marion Davies (his mistress for thirty-two years) would sit every night to receive their guests for dinner. Note the paper napkins; W.R, preferred these as it saved on the laundry! 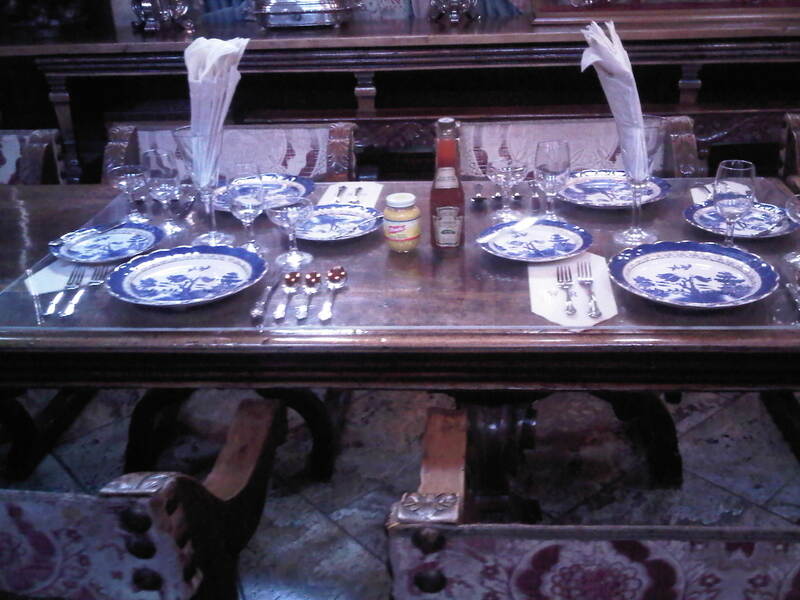 But why did W.R. lavish his guests with such an abundance of generosity and time? Well, he was editor of the San Francisco Examiner (as well as creating a chain of 30 newspapers across America) and had several column inches to fill. Hearst didn’t just write the gossip columns; he practically invented them. There are three separate tours to take (ground floor, upper floors and the north wing) but simply too much to complete in one visit. I opted for the ground floor one which took around three hours. When I tried to take one of the other tours, none were available. 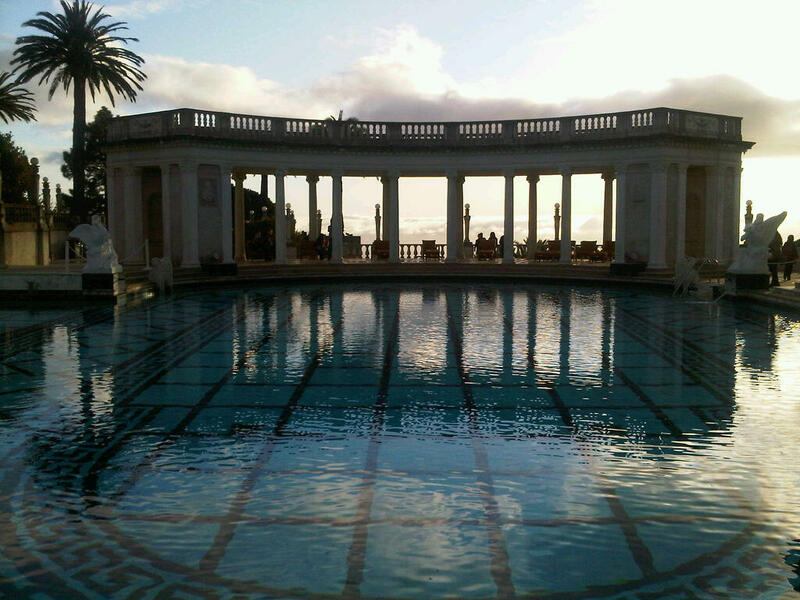 The Hearst Castle does book up weeks in advance, so please be sure to reserve a ticket. Unfortunately I didn’t make it to the cellar, but left wondering if maybe, just maybe, there was a snow globe or sled hidden away down there somewhere.